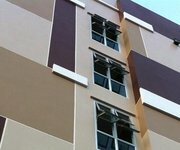 Looking for a cheap hotel in Chiang Mai with free WiFi, well then you've come to the right page. 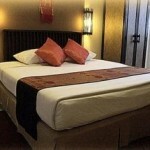 The following is a list of the top 10 cheapest hotels in Chiang Mai that has free WiFi. 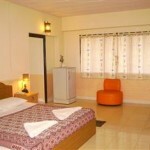 Real charming guest house this cheap hotel is. There's no bells and whistles in this hotel though. 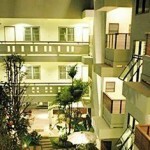 For the price though you don't expect much and what you do expect this cheap hotel in Chiang Mai lives up to it. This is the cheapest hotel I have on this list. Less than 10 dollars a night for a room, makes this the cheapest hotel in Chiang Mai with free WiFi. You could get a cheaper room somewhere else but it wouldn't look as good as this one and it most certainly wouldn't offer free WiFi. 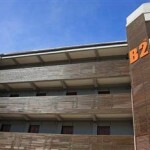 If your feeling young and hip then the B2 on Nimman is the right place for you. 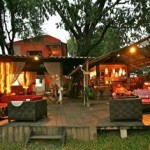 Conveniently located in the most hip and young of areas in Chiang Mai it's also the cheapest hotel in the whole area. You can walk to a myriad of nightclubs and bars that are open every day of the week. This is my pick for a good place to crash after going out all night. This place is really for Thai people, but I find a lot of hotels like that are actually better for the money than a place for foreigners. 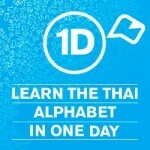 Thai people live here so the hotel has to do better sort of thing. It's a really good price and free WiFi to every room. SK House is one of the Cheapest hotels in Chiang mai with a swimming pool which is probably why it's so favoured with the backpacker crowd. A quick dip every day after the Thailand heat is refreshing after you've been sleeping on hard beds in Bangkok. With only 37 rooms though you need to book before you arrive. 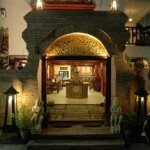 This Thai style hotel is a real find. It's owner ran so it's a real homely feel to it. Wonderfully gardened as well. There is a bar and pub public area which is a great place to mingle. The Rux Thai Guest House is located on Loh Kroh road, famous in Chiang Mai for it's lively beer bars full of young Thai Girls. This is the kind of place singles and bachelors come to stay. 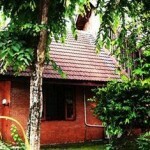 This Guesthouse is a bit more expensive than the others, however it is more appointed than the others. It also has one of the strongest WiFi connections of any hotel in Chiang mai. 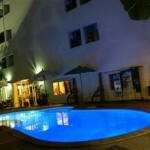 The Duangkaman Place hotel in Chiang Mai is another cheap hotel that offers a swimming pool in Chiang mai. Located right near the Chiang Mai gate this hotel also offers one of the best swimming pools for a cheap hotel in Chiang Mai.